I’m back. Consider this a test for how many people still read my blog. Posting once a quarter is pretty lame and I’d like to think about remedy-ing that. But until I make a decision one way or the other, it’s best if I shared my last weekends runventures. 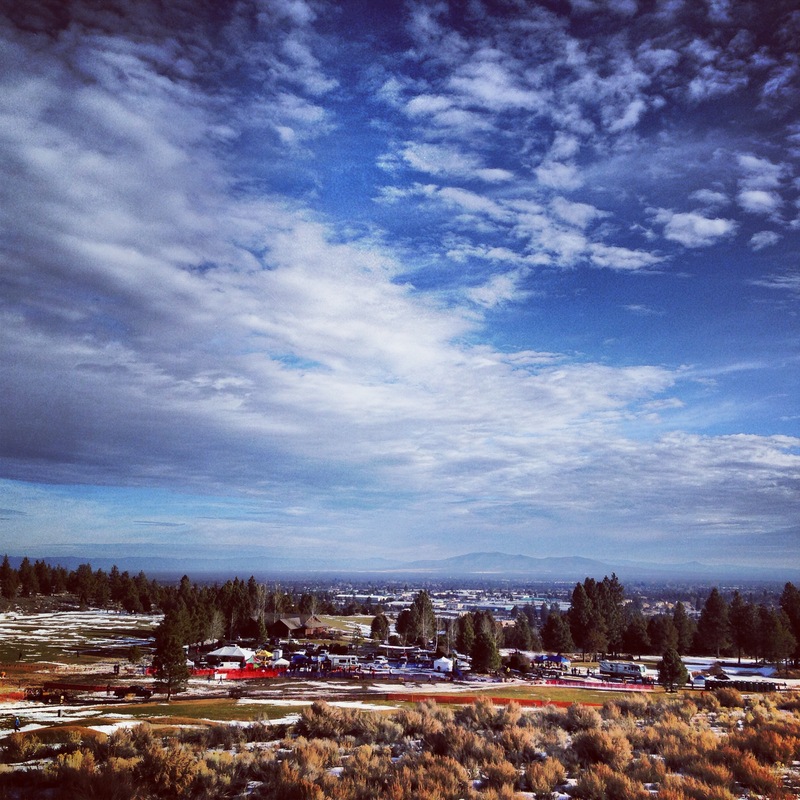 Last weekend was Club XC Nationals in Bend, Oregon. When one of our Colorado Oiselle girls asked our division if we wanted to form a team, we were in! 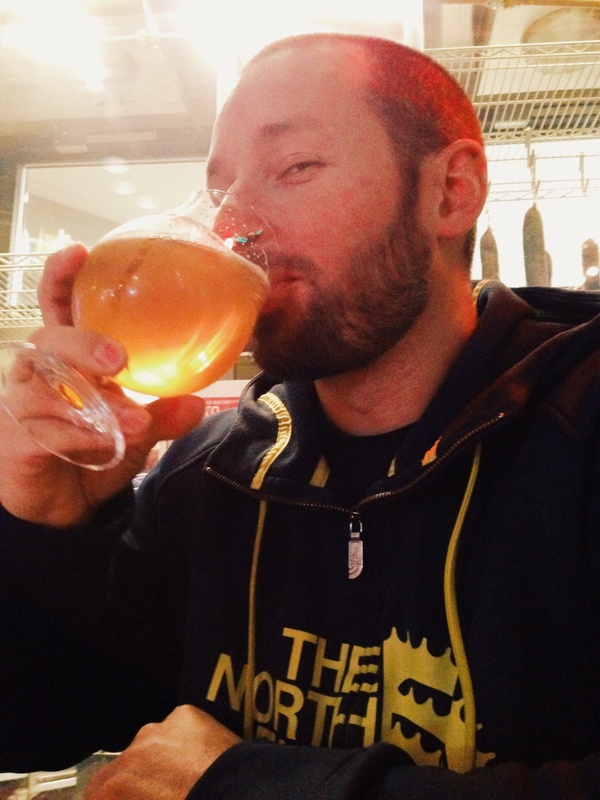 I had been looking forward to this weekend for several months. 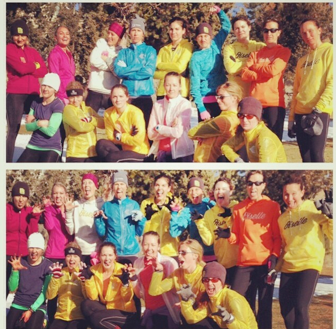 We ended up having a huge turnout from Oiselle with 4 teams represented. Wings out! Nick and I flew into PDX on Thursday night and made the beautiful 3 hour drive to Bend early Friday morning. 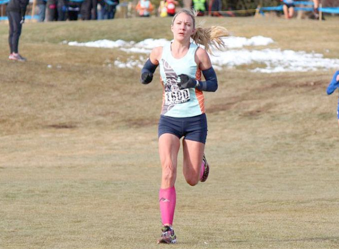 I wanted to make it to the Oiselle course preview for those who were already in town. It was great to meet and re-meet so many of our girls! 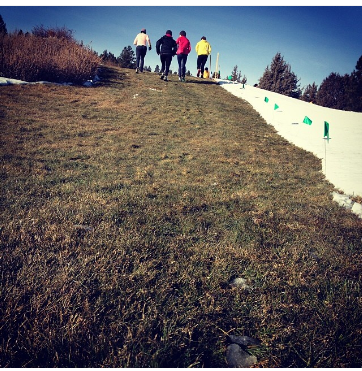 The course was another story – hilly, muddy, slanted, snowy. This would not be fast. 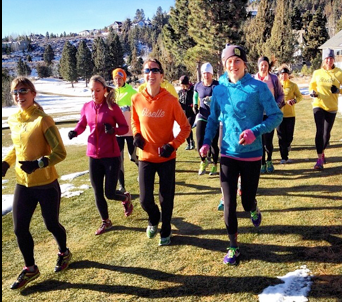 Why yes, that IS Lauren Fleshman to my left (blue) and Deanna Ardrey to my right (yellow). The only time I’ll be able to say “I ran with them” is at the course preview at a snails pace. I’ll take it! Since it was Nick’s birthday, we made a stop at Deschutes. HAPPY BIRTHDAY, MY FAVORITE! A must-do because I felt mostly bad about it being his birthday weekend but we were traveling for my running event. I don’t think he really minds. Especially if the travel includes a Jeep rental and a cool town like Bend. We capped off his big day with a visit to 10 Barrel. The following morning was go-time. Our Masters Oiselle team ran at 9:45 and watching them was an inspiration and yet a sobering pre-cursor to the reality of this measly 6k. Noon. Race time. My Oiselle-CO girls and I grouped up in Box 81 for striders and chants. And then took off uphill (yes, the race started on a short field sprint and then up a nice little hill-not the one in the above picture-a different one) for three 2kish laps. I watched all the girls charge ahead of me, so I tried to remember this race was for the experience only! I mean, some of these girls were NCAA champs of some distance or another. Over and over. And some of these girls were chasing the Olympic standard for the 1/2 and full marathon. So…I had to keep telling myself that during the race; each time I went up that long .3 mile hill (as pictured above); and down that slanted hill where I slipped and fell briefly, just once; and through the dirt/mud; and all the other European XC fun that the RD decided to include on the course. When I saw Nick at the end of the 1st lap I lifted my hands in this “what-the-heck-is-going-on-why-am-I-here-what-am-I-doing” fashion. But with a smile. Or was it a grimace? This was tough. A really tough course amongst a really competitive field and I LOVED it. No, I didn’t place well. No, I didn’t have a super speedy pace. But the camaraderie, opportunity, and experience overshadowed what could have been sheer disappointment, had this been any other race. This race brought back so many memories from my high school Cross Country days of Yore (roughly the late 90’s). I couldn’t have been happier to run and compete with so many dedicated women. 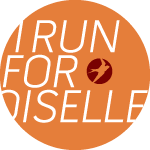 It confirmed my already deep passion for the sport and my consistent love for the Oiselle family. 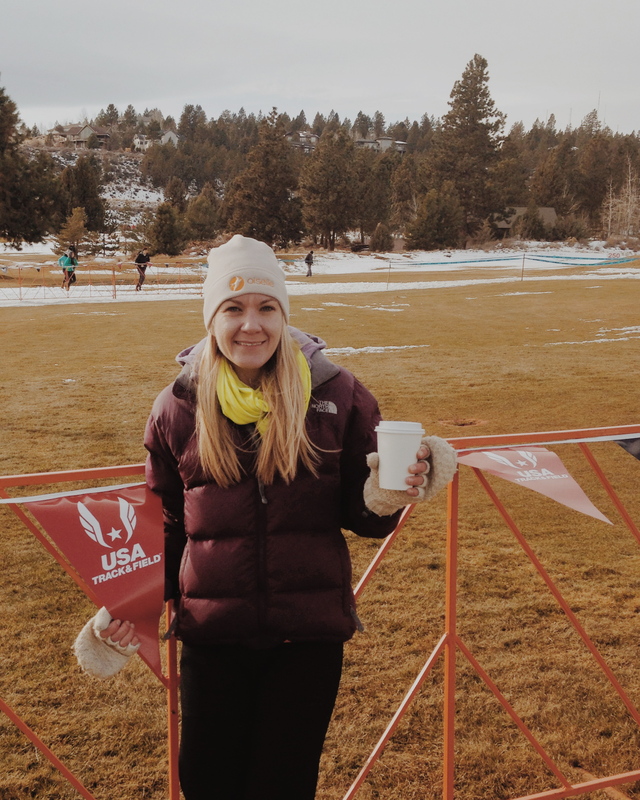 Overall, a birthday, a Oiselle beanie, a PR, a kickin’ party, a lifetime of memories. 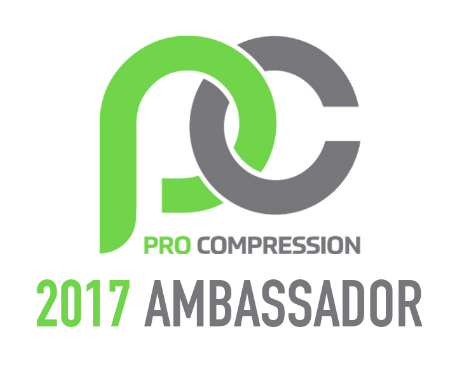 Categories: Oiselle, Races, Travel, XC Club Nationals | Permalink. Umm… I still read this so you better keep writing. So envious of your adventures in Bend. 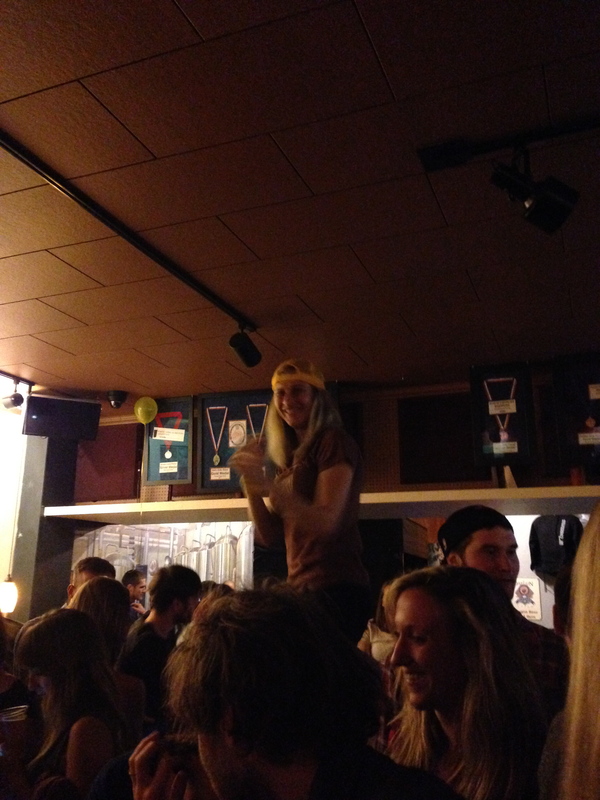 Wish I could have been there to cowbell for you and laugh and point when you fell… I mean encourage you. 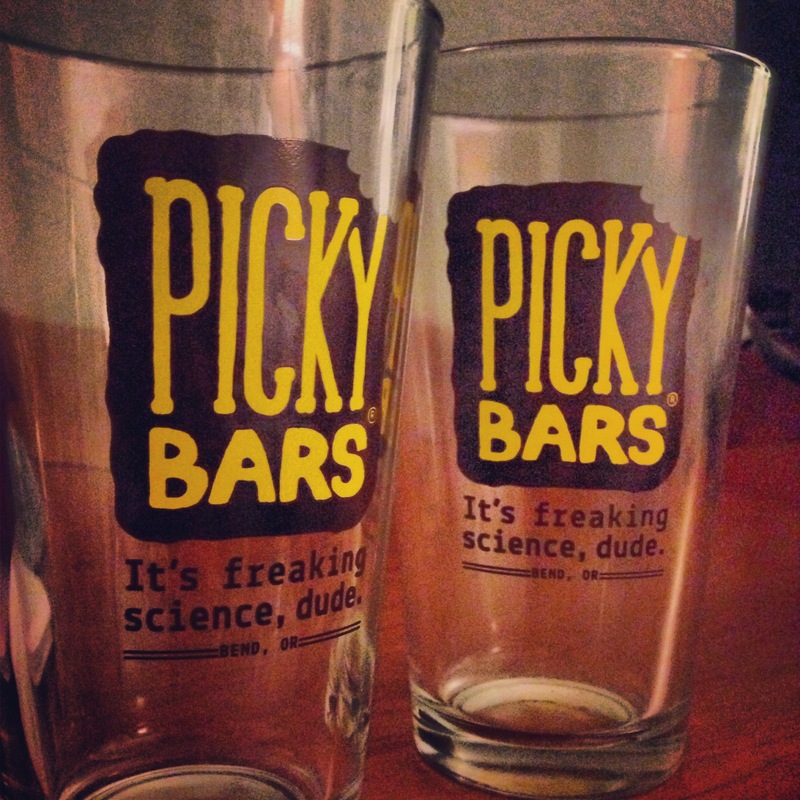 😉 Merry Christmas friend, and here’s to more adventurous races in 2014. Evidently my blog feed doesn’t automatically delete blogs after three months of not posting! Yes. Still reading when you writing. Nice race!